RejuvLife anion shower head is designed for anion high pressure silky massaging shower. Taste the difference. People love powerful and soft water stream with anion freshness. Male-55/64 inch Male Adapter included). 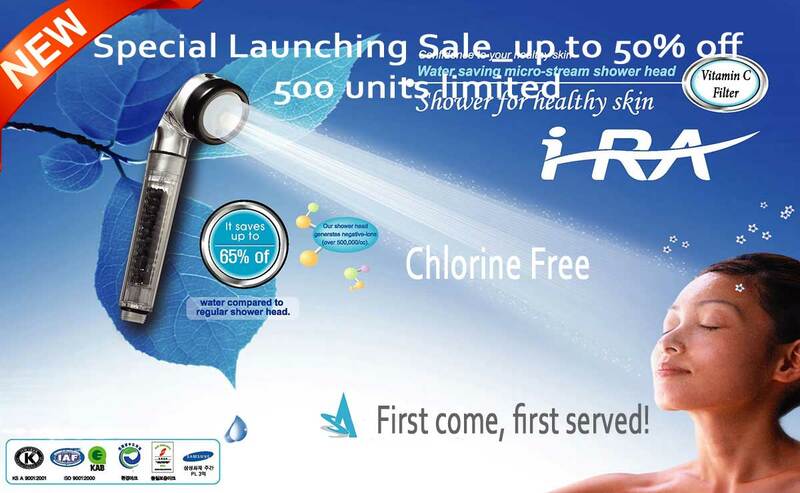 I-RA Baby Salon Sprayer is a tiny and handy shower head for bathing a baby and hair washing in a beauty salon. It produces high water pressure and soft water spray stream. It is a durable and high quality shower head with unique tiny & handy design structure. You can enjoy an energized and ion rich shower.